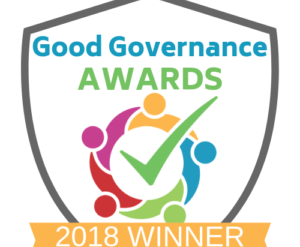 Congratulations to all the winners for the 2018 Good Governance Awards!! A big thanks to everyone who submitted their entries this year, keep up the good work. Proudly Made in Africa implemented a series of measures to improve its governance: an enhanced accounting system, governance handbook, governance training, establishment of a governance sub-committee to oversee a range of governance reviews and updates, and the redesign of the annual report. Irish Girl Guides implemented an updated financial reporting system to produce consolidated accounts for its 570 units across the country. The Care Trust designed and developed a new Risk Register Dashboard to enhance the Board’s oversight of the organisation’s risk management. Extern Ireland developed and implemented a new Governance Action Plan to improve its governance. Central Remedial Clinic developed and implemented of a new stakeholder engagement programme ‘Keeping Connected’’.